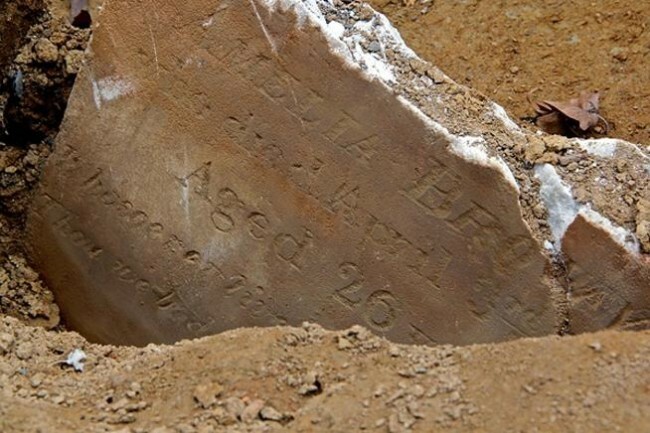 Two-year-old Jeremiah Carpenter died this day, May 14th, in 1843 because of a convulsion and was buried at Bethel Burying Ground. The cause of the convulsion is not reported. His family lived at 92 Bedford street which is currently known as Kater Street. It runs between 6th & 7th between South and Bainbridge Streets. In 1843, Bainbridge was named Shippen Street. The baby’s father was William Carpenter and worked as a laborer according to the City Directory. I did not locate any information on the baby’s mother or siblings. Bedford St. (now Kater) as it looks today. The Carpenter’s residence would have been on the right side of the street. It is interesting to consider the possible experiences of the Carpenter family during the white supremacy violence of August 1-3, 1842. Unfortunately, their home was in the middle of some of the worst mob violence. The attack on Mother Bethel Church and the burning of Pennsylvania Hall are well known. Lesser acknowledge is the attacks on The Moyamensing Temperance Hall on Bedford Street near 8th Street only two blocks from the Carpenter residence. This new brick building, dedicated February 23, 1842, was the pride of the African American community. Alcoholism was devastating the community and this building and the organizing effort behind it was assisting in curbing the disease. This building became an instant threat to the vast Irish saloon business of Moyamensing, Southwark and the 7th Ward of Philadelphia. During the riot, there were two failed attempts to burn it down. What the mob failed to do the white city bureaucrats were more than happy to accomplish. A special grand jury ordered the building to be torn down because it was a “nuisance” and was in the interest of “public safety” simply because it existed. This occurred not two full blocks from the Carpenter’s home. For further reading on this and the “race riots of the 19th century in Philadelphia see Noel Ignatiev’s “How the Irish Became White,” page 138.